A wide range of holiday rental homes and apartments in and outside of the walls of Lucca. 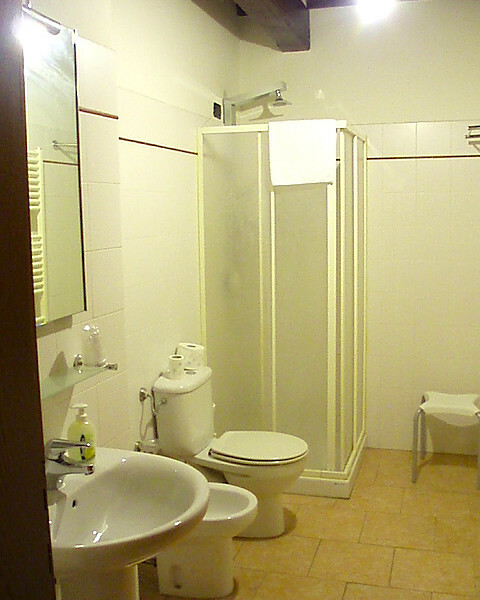 This apartment is part of a holiday complex consisting in a B&B with 6 rooms and 2 apartments. 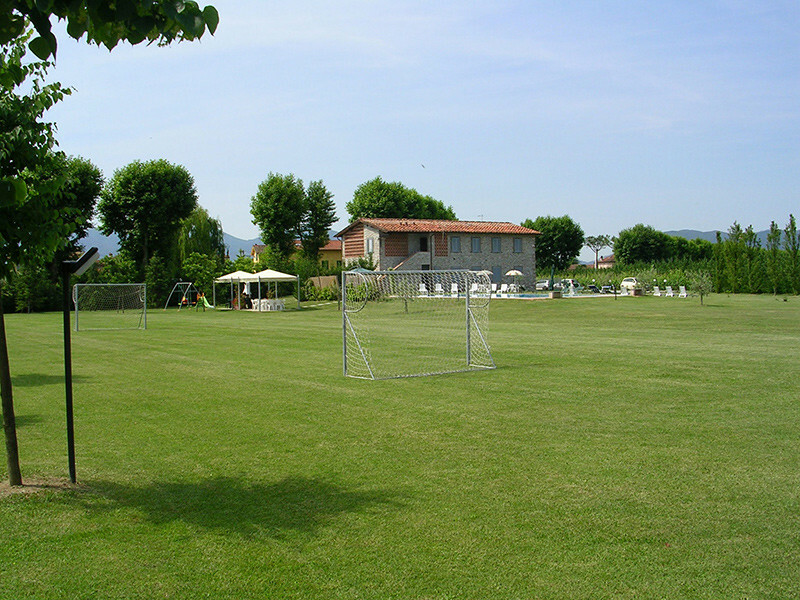 The complex is just 2.5 km outside the walls of Lucca nestled in the green countryside. 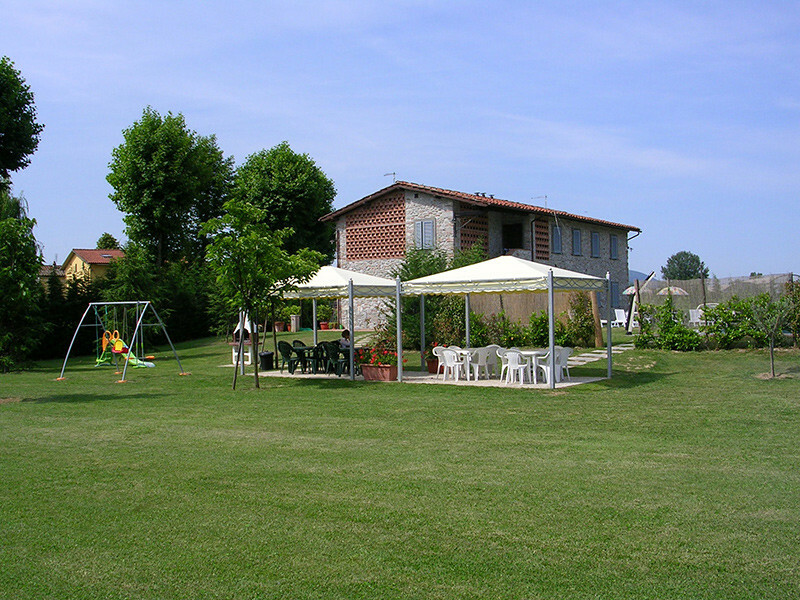 A thick mature hedge provide privacy and huge beautifully kept gardens with a pool, playground and football field, is a perfect setting for families with children to enjoy a relaxed holiday. The fabulous 10 x 5m pool is ideal for laps or just to laze around. 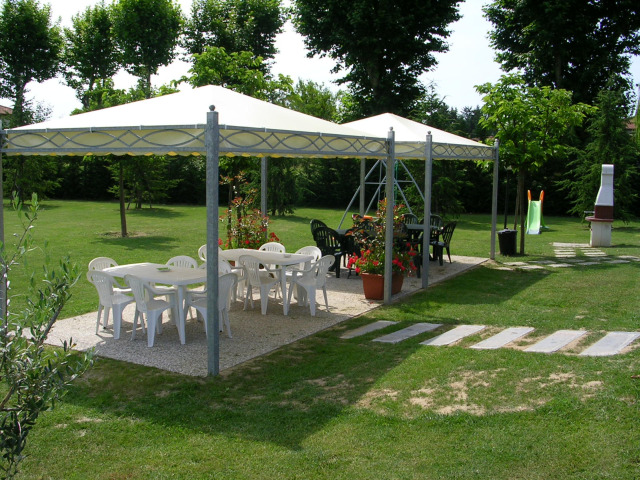 Gazebos and umbrellas with loungechairs are offered free of cost. There is plenty of space to spread out. This place is never crowded. The pool is open according to season. 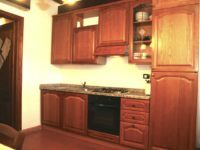 Casolare offers 2 self-contained apartments as well as 6 studio style rooms with bathrooms; these rooms include breakfast. 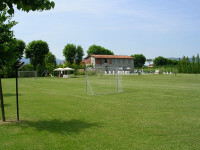 The complex was built in 2003, keeping with the traditional country Tuscan design. 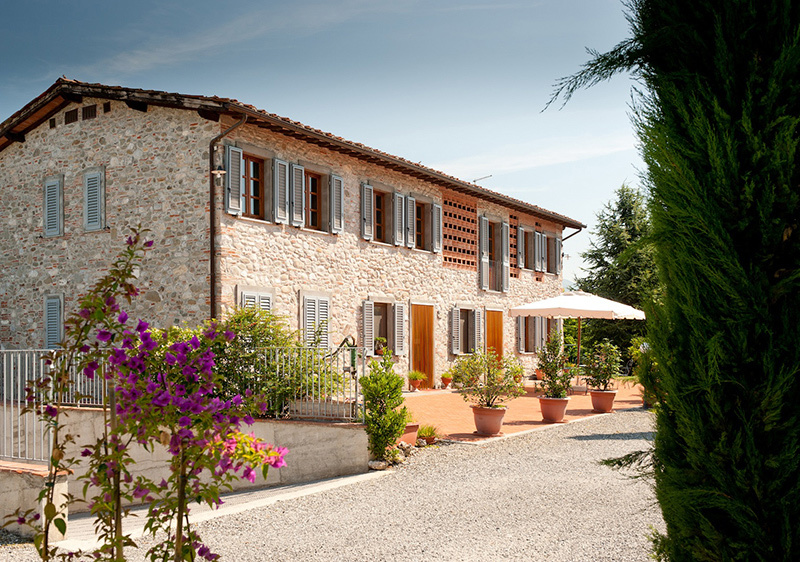 The stone external walls, terracotta floors and wooden beamed ceilings reflect this. Casolare 2 has 2 bedrooms and 1 bathroom and it is located on the ground floor overlooking the beautiful pool and garden. An extra bed can be added in one of the bedrooms to accommodate up to 5 guest. 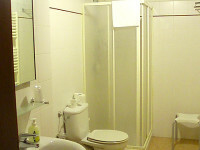 One apartment with accomodating 7 people is located on the first floor, also overlooking the garden and pool. In the garden: BBQ, gazebos for alfresco dining, hammocks, children’s playground, games area with table tennis and football, pool lounge chairs and gazebos to shade you from the tuscan sun. Lucca is only 10 minutes by car, and the shopping centre (Carrefour) only 3 minutes away a 15-minute bike ride along the canal will take you inside the walled city. 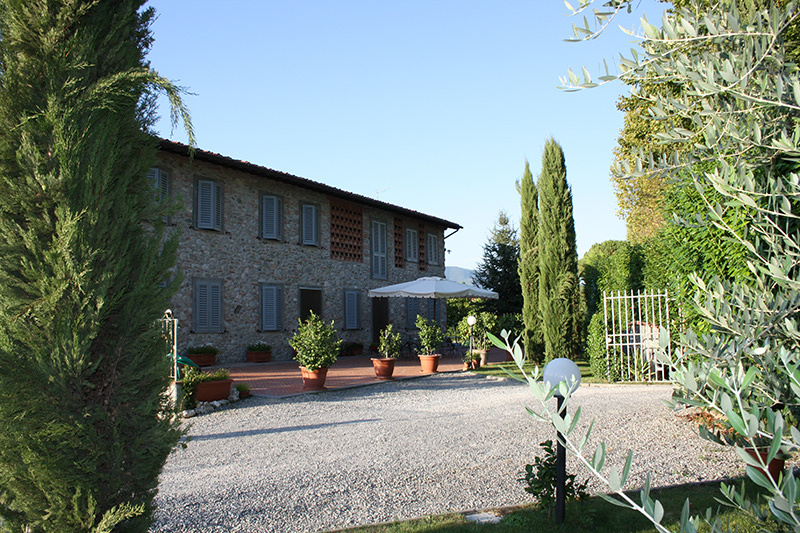 Casolare Lucchese is a perfect holiday accommodation for families with young children planning to relax by the pool, explore the beautiful medieval city of Lucca, the countryside, or other Tuscan cities such as Pisa, Montecatini, Florence and Siena. The owners Lia and Paolo are very friendly and helpful. 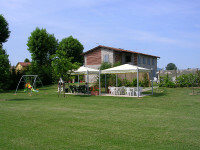 They live nearby and are on-hand to provide excellent service to all their guests. NB: (Pets allowed with prior arrangement). The city can be visited in a day, but if you want to appreciate the best stop for a few days or choose it as a base to explore central or north Tuscany. 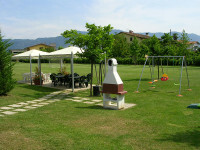 The city is located on a plain at the foot of the Apuan Alps and is less than half an hour from the coast of Versilia. Since it isn’t a hilltop village, it is ideal for anyone with mobility issues as well as for anyone wishing to take a break from climbing ;). Lucca is very easy to reach both by car as well as train from both Pisa and Florence, making it perfect for anyone getting around solely on public transportation. Most of the attractions in Lucca today show its ancient history: from the trace of the Roman amphiteater that can be seen in the shape of the Piazza dell’Anfiteatro to the archeological remains under the 12th century church of Saints Giovanni and Reparata (the first city cathedral, located just around the corner from the present-day cathedral of San Martino), to the various towers and villas from the 12th to 16th centuries. Extraordinarily, as the city grew and modernized, the walls that surrounded the old town were maintained which was not the case for many other cities in Tuscany, including Florence. As the walls lost their military importance, the top of the walls became a pedestrian promenade, today one of Lucca’s main attractions. The area around the walls is well taken care of, with green grass and trees everywhere along the walls. They have in essence become a park that surrounds the city and blocks out more modern life. Here you can enjoy a bike ride around the entire perimeter, a stroll as you enjoy a gelato or simply a period of rest from sightseeing on one of the many shaded benches that line the main walkway. Near the town of Lucca, always in the province, do not miss the Versilia and its beaches, the Apuan Alps and the splendid Garfagnana with its small characteristic villages as Barga. 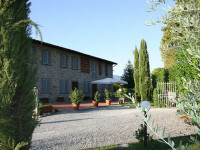 There’s a lot to do and see also in the surroundings of Lucca! Special deal pick up service from and to airports/train station etc. Service available also for daily escursions to the near historical towns and outlets shoppings; local cooking course. Contact details in our “Useful links” page. Use this form for informations or booking request, with no obbligations. Please note that your personal details are used according to the Italian privacy law No 675/96. 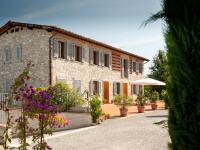 Holiday Apartments and Holiday Homes for rent in Lucca.